Hello, BitInvestor. Good day, Hope you're having a wonderful time on our website. Well today I'll like to write a Brief article on 5 (Five) Ways You can invest your Bitcoins and other cryptocurrencies and earn a steady income. 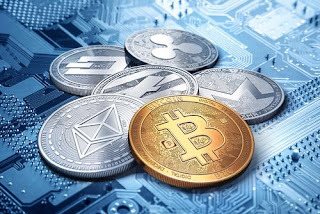 Now, on our cryptocurrency courses​ and others, We've outlined and recommended some Investment types And tips for beginners and investors including How to earn Bitcoins and altcoins for free. However this list will reveal 5 best methods for either professionals or beginners. So get ready, Seat tight.... Get a cup of coffee as we go ahead. This is the act of investing (Stocks, Trading, Staking E.t.c) in cryptocurrencies for the sole purpose of making profits. This will be explained into 5 categories and ways that'll be highlighted here. Investment usually is all about risk taking, believing in the future against all odds, so simply put... Cryptocurrencies investing is the act of takings Investment risks with or in cryptocurrency. This is usually done online Since cryptocurrencies are digital currencies or online based money. Usually, there are platforms offering these Opportunities. One can get into these Programs, Invest their funds and earn steady income. Several Investment categories exist, with only 5 being our main focus in this article. Like i said earlier, one can invest with or invest in a cryptocurrency, for every method treated we'll indicate which category it belongs. Also; as an investor, You must understand that Investments are either for the long-term (Long time frame) or short-term (Shorter time frame or Hit and Run Investments). So with every successful method treated we'll also indicate whether it be a long-term or short-term Investments. We'll also, Indicate which category of people it's recommended for, Beginners or professional investors. Holding Bitcoin or Altcoins is all encompassing, Infact it cuts across stock trading with Bitcoins and also Investing into ICOs. As we go ahead you'll understand the concept of holding cryptocurrencies better. It's by far the safest method of investing in cryptocurrencies. Saving cryptocurrencies is a great way to get rich in a long-term. Savings actually isn't investing, well that's for fiat currencies because their value decreases due to inflation, Cryptos like the bitcoin cannot be inflated, there's demand but limited supply leading to price increase. It's the best way to invest in cryptocurrencies. Buy a cryptocurrency and store it for long-term. For example, the bitcoin in January this year (2017) was 900$ per Coin. Today October 2017, A coin is worth over $6000. That's Over x6 or 600% growth this year alone. Imagine an investor holding 10Bitcoins worth $9,000 in total in January. Now he'll have over $60,000 in Bitcoins. So you see! Saving cryptocurrencies for long-term is a great way to get rich. As an investor, long term investments like holding cryptocurrencies can pay of big time. Like i said, it's the best way of investing in cryptocurrencies. My 'mom' bought 150Ripple Coins and she Plans holding them for 10years before selling a pin. So imagine a ripple coin at $1000 per Coin 10years from today. She'll be 50 by then and retired with a less than $50 Investment returning over $150,000 to her. In Nigeria that's over ₦52M using the ₦350/$ exchange rate. And lemme shock you, she has bought over 6 different cryptocurrencies in like manner. Of course it's courtesy of Me And My Team, Talked her into investing for long-term in cryptocurrencies since she's already an entrepreneur with several Investments, saving Cryptos wouldn't be a bad idea. Would it? Both beginners and professionals can hold cryptocurrencies with very minimal to no risks involved. • Hack: Being careless with your wallet (What we'll call your cryptocurrency bank account) details can lead to being hacked and scammed. • Price Decline: Currency experiences price crash and decreases. This leads to value decrease. E.T.C. This Will rarely happen, However loses will also be rare. Truth is; These risks like hacking happens to 1 out of 1million people. They're rare and can be avoided by using cold wallets E.T.C. HYIP stands for High Yield Investment Program(s). It's the term used to describe certain types of cryptocurrency based Ponzi schemes. This schemes pays very huge Returns in short periods and of course crashes also in short periods. The Wikipedia definition explains the entire concept. The business has nothing it does with investors funds, it keeps and pays off older Investors with newer Investors money which means that when the bubble bursts the newest investors are left unpaid or left with losses. It's a great way to invest with cryptocurrencies but it's risky and recommended for only professionals. Actually some major Investors won't agree it's a form of investing, they'll rather see it as betting. Well betting/staking is also a type of Investment and can pay off big time with the right tricks. Investing in the right ones can be very profitable and life changing Opportunities. Some HYIPs have paid out over 2000% returns to investors even before crashing. • Enter and Invest Early, don't join or invest late. • With Opportunities that supports deposit withdrawal, pull out after 15Days, Don't get greedy. Imagine earning 3% daily for 15days, that's 45% returns; Please pull out and Quit. • Investigate Every HYIP before investing, check if it's paying and check it's lifespan. • Go for innovative ideas, We've studied and noticed HYIPs with a great innovation lasts longer than haphazardly built websites with no convincing business model. • Invest What you can afford to lose, We advice you don't invest more than 1-10% of your portfolio. Actually These risks can be greatly decreased by joining our investors team, where we take our time to teach our Investors about HYIPs with our HYIP CRACKING formula (HYIP CRACKER 1.0) And Try to secure Insurances for Investors from HYIP platforms. 3. Trading & Reselling Bitcoins And Other Cryptocurrencies. In this section, I'll like to rephrase it as trading stocks but trading and reselling will be a better keyword to use. We'll space this section into two, dealing with trading and Reselling as separate topics. For this context both means the same thing but having different approach and risk levels.